Bonus Days are Back!! For every $90 you spend 1–31 July (before shipping and handling), you’ll receive a $9 Bonus Days coupon that you can use 1–31 August. 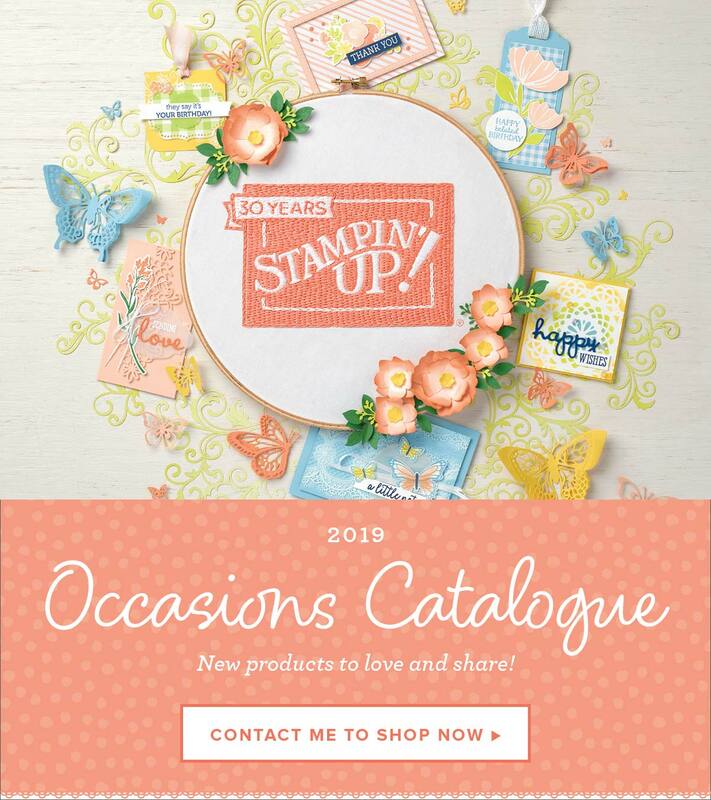 Is your Stampin’ Up! order less than $250? Make sure you use my current host code to receive your FREE gift(s) from me as well! I’ve never regretted joining Stampin’ Up! as a demonstrator, initially it was just for the discount on awesome products and now I’m working towards it being a little something more. I love that Stampin’ Up! offers the flexibility to run your business any way you want to, from it being just for the 20% discount to a full-time job with some pretty nice perks available. If you were ever thinking about joining, Stampin’ Up! are offering an AMAZING joining offer during July, not only can you purchase the Starter Kit ($235 of product for only $169) which is a great deal by itself, you’ll also receive an Essentials Gift Pack (worth $86) plus the Carols of Christmas stamp set (worth $35) from the upcoming Holiday Catalogue. This means if you join Stampin’ Up! during July you’ll receive $356 worth of products for just $169 + FREE shipping and business supplies pack.